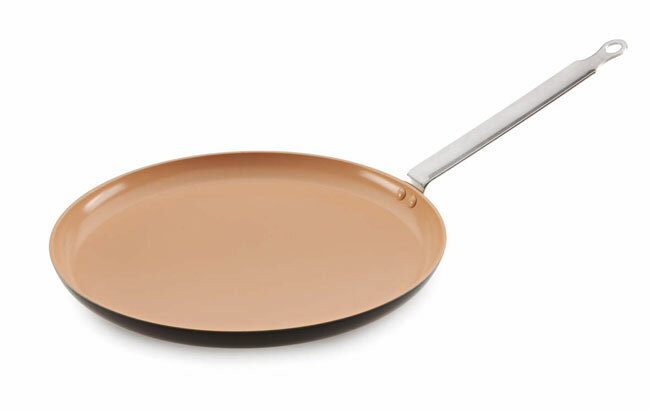 Universal frying pans, compatible with all hobs, including induction, able to withstand high temperatures, with ultra-resistant coating. Heat is quickly and evenly distributed. Handle attached with 3 coated rivets. Laquered exterior and covered edges cleans easily.